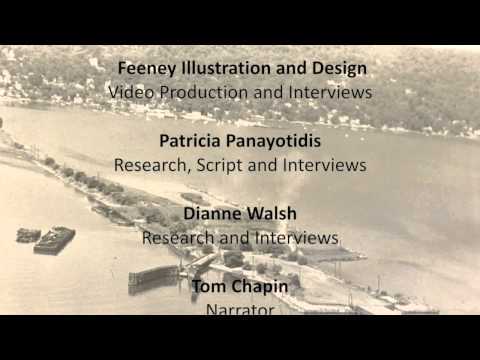 PIERMONT, N.Y. -- More than a year ago Betsy Franco Feeney and Patti Panayotidis intended to make a brief promotional video for a Piermont Historical Society dinner dance that had a World War II theme. They didn’t expect the video to turn into a documentary. Later this month, “Last Stop USA: Piermont's Role in World War II” will make it’s debut at the Nyack Film Festival. The 39-minute documentary that is narrated by Grammy Award-winner Tom Chapin explores the village’s role during World War II and includes interviews with nine Piermont natives who lived through that period. Feeney and Panayotidis co-produced the documentary and admitted their filmmaking experience is limited. The documentary won’t win any Oscars for best film or sound editing but it serves a greater purpose. “The main thing is that most of this history is being lost because most of the people that were around during that time period are passing away,” Panayotidis explained. Therefore it was important to document this history before it was lost and get it out to a larger audience. In addition to the Piermont locals, Feeney and Panayotidis relied on the Rockland County Historical Society, the Piermont and Nyack historical societies, and a book on Camp Shanks that was written by Scott Webber for information. While Feeney and Panayotidis are quite knowledgable when it comes to Piermont’s history, even they were surprised by some of the findings. “We didn’t know what we were getting into,” Feeney said. “It just mushroomed." One such surprise for Panayotidis were the 290,000 prisoners of war that came through Camp Shanks before they were sent to one of 150 labor camps in the country. Stationed at Camp Shanks were 1,200 German and 800 Italian POWs. Feeney recalled one account that described the shock and awe from the German soldiers when they saw the New York City skyline. German propaganda informed citizens that the city had been bombed and destroyed and the POWs were under the impression the skyline had been rebuilt in such a short span of time. The documentary also explores the different factories operating in the village making war supplies, a romance story, the interactions between the locals and the soldiers, and historical photos from the period. After the film festival, Panayotidis and Feeney plan to provide copies of the documentary to the school district so it can be shown to the students. A showing is also planned for Veterans Day. The Nyack Film Festival takes place from Aug. 18 to Aug. 21. For more information on the Piermont Historical Society, visit their website.